Our most recent project has now been completed in Ballymena, Northern Ireland. Castle Tower School is a school for pupils with special educational needs. 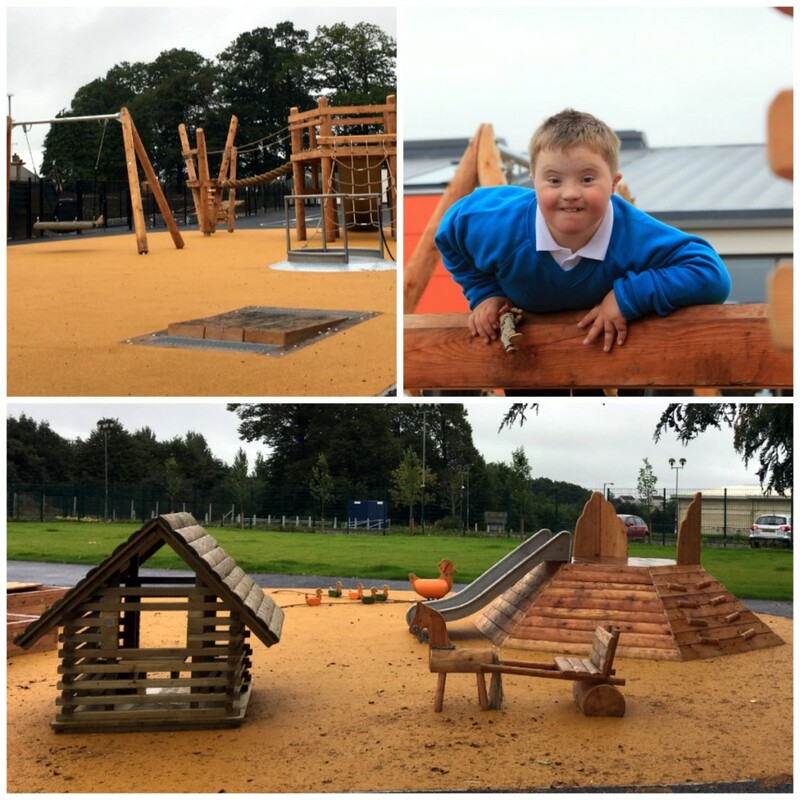 We created a range of play spaces within the school grounds to offer different play experiences for children and young people up to 19 years old. The play spaces are designed over a series of inner courtyards and outdoor areas, with space for climbing and adventure, as well as quiet reflection and sensory play. It was wonderful to work with an educational establishment that places so much emphasis on the importance of play. School staff were delighted with the new play spaces. But perhaps the key indicator of success is that the children now spend a lot more time outside, as they are enjoying the equipment so much. Visit the Castle Tower project page to find out more about this play space.